we joined the gathering crowd. of staring into other peoples’ lives. 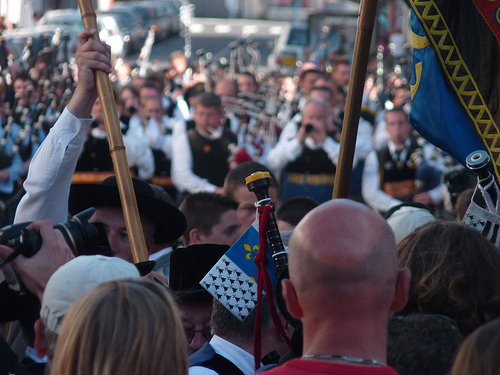 Written after viewing the parade in Quimper. John at Ephesus The tradition that the apostle John in extreme old age and unable to walk would repeat nothing but this phrase from his first Epistle over and over comes from the commentary on Galatians by Jerome (340-420 AD). Jerome says that eventually John's disciples wearied of hearing the same phrase, and asked him why he spoke it, to which John replied "It is the Lord's command, and if this alone be done, it is enough".